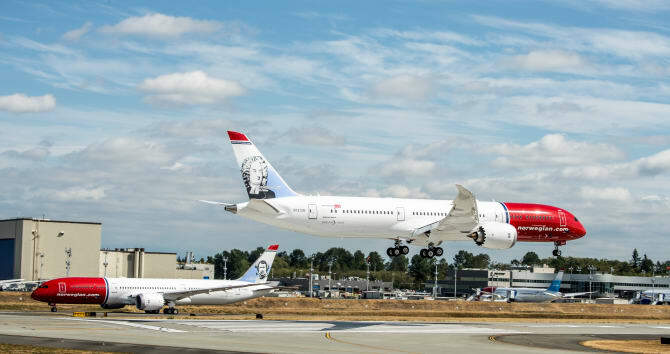 Norwegian carried 3,279,525 passengers in August, an increase of 407,603 passengers (14 percent) compared to last year. The total traffic growth (RPK) increased by 26 percent this month, driven by a 24 per cent capacity growth (ASK). The load factor increased by 1.4 percentage points to 91.1 percent. “We are very pleased that an increasing number of passengers choose Norwegian for their travels and are grateful both to new passengers and those who keep returning. We’re experiencing a high demand for tickets in our established markets in Scandinavia, but the strongest growth is on Norwegian’s long-haul routes and in Spain. Continuing our global expansion is important – both in terms of strengthening our competitiveness and creating more jobs and economic value in the markets we operate,” said CEO Bjørn Kjos of Norwegian.